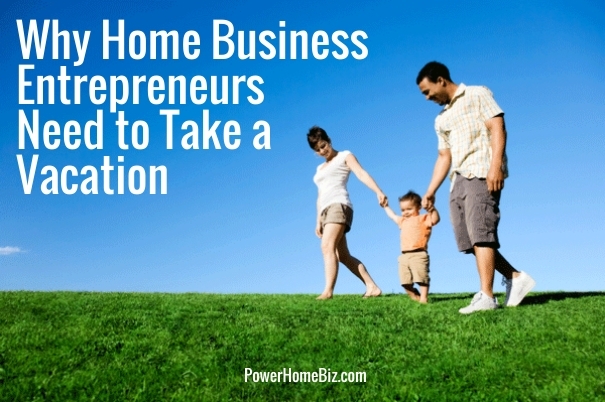 Despite a seemingly never-ending list of things to do, home business entrepreneurs need to take a break and go on vacation. But yes, it is not easy, especially if you are a solo entrepreneur. If you go on a break that essentially means that your business is closed. After all, you are the business! As such, you may feel compelled to keep working without taking any vacations. You end up “over working” and hurting their progress. Like everyone else, you need a break. Think about how refreshed and motivated you felt after your last vacation. If you keep going full force without a break, where are the rewards for all your hard work? Once you reach the burnout stage, you will often feel out of control and even less likely to take a vacation. The business will suffer and motivation will be lacking. Stress can literally be a killer and no one is immune to stress. However, vacation can be one of the great ways to reduce stress and rejuvenate your energy and spirit. The bad stress won’t stop building until you give yourself some time to recover. We remember experiences more than anything. Science has even shown that material objects do not provide the lasting joy or happiness that positive experiences can create. Vacations are often all about experience and help to increase the quality of life. When a person experiences a greater quality of life, it is often the case that their quality of work will improve as well. When you are constantly living on a schedule going from one task to another, it is hard to have the space and freedom to be creative. Think about when some of your best ideas came to you? Most likely, you were not at work. You were probably not even thinking about work at all, and were in a relaxed state. Those are the moments that creative genius can strike. But, it can’t strike if you are always on the go! Tighter deadlines and looking forward to something can sure help you get more done faster. Use the vacation as something to get excited about and to work very hard up until your last day at the office. This will increase your productivity prior to the vacation. And, after relaxing for a week, when you come back, you will be energized, stress free, and ready to make a huge impact. Don’t wait any longer. Plan and book your next vacation now!